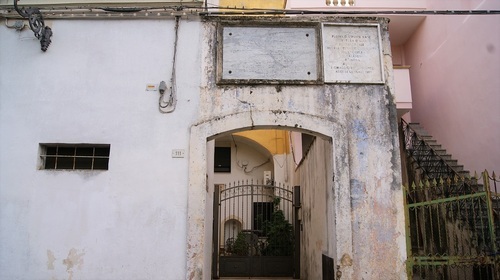 Antonio De Ferrariis was born and lived in this house for many years, located in his beloved Galatone (Via Galateo, 111), in the province of Lecce. 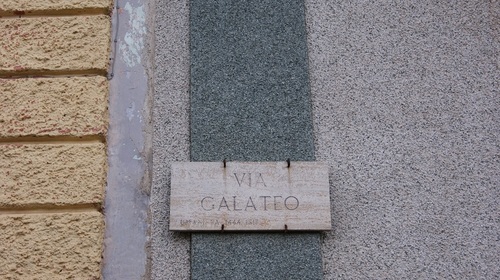 He is also remembered as Galateo in honour of his town. 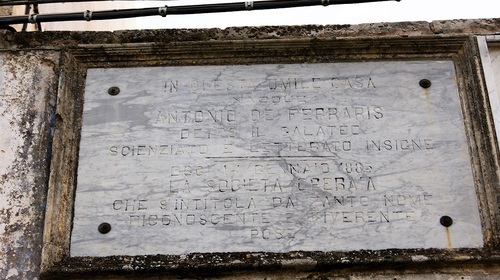 The house is located in a street named after him. 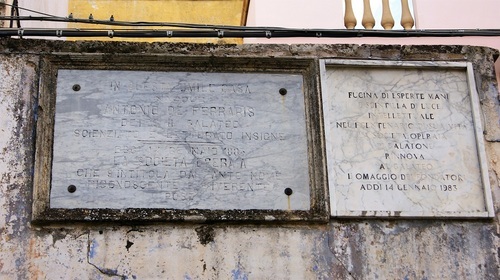 The first inscription reads as follows: "IN QUESTA UMILE CASA / NACQUE / ANTONIO DE FERRARIS / DETTO IL GALATEO / SCIENZIATO E LETTERATO INSIGNE / OGGI 14 GENNAIO 1885 / LA SOCIETA' OPERAIA / CHE S'INTITOLA DA TANTO NOME / RICONOSCENTE E RIVERENTE / POSE". 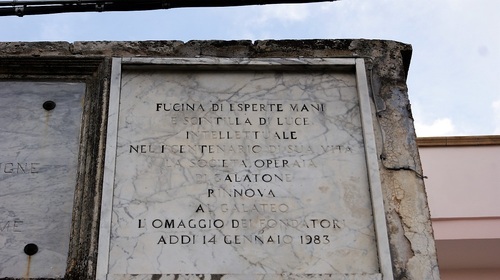 On the right, there is the following: "FUCINA DI ESPERTE MANI / E SCINTILLA DI LUCE / INTELLETTUALE / NEL I CENTENARIO DI SUA VITA / LA SOCIETA' OPERAIA / DI GALATONE / RINNOVA / AL GALATEO / L'OMAGGIO DEI FONDATORI / ADDI 14 GENNAIO 1983".